London List Recruitment – Page 2 – Employment Agencies Directory. Greater London. PSD Group Executive Recruitment team recruits industry specialists, managers and directors for the Communications, Smartphone & Consumer Electronics, IT Services, Digital, Semiconductors. PSD Group Executive Recruitment team provides jobs for Head of Operations, Internal Auditor, Project Manager and Managing Director for multiple sectors in London and the south east. Employers using PSD Recruitment Group: Hilton Hotels, Kempinski Hotels, Alila Hotels, Santander Bank and City Of Westminster council in London. PSD Group recruitment office is located between Cloak Lane & College Street in The City of London, EC4R 1EB. Directions: Cannon Street Station (Circle & District lines) Exit onto Cannon Street, turn left into Dowgate Hill, turn right into Cloak Lane, turn left into Queen Street. Bus No's 11, 23, 26, 88, 376 and 521 stop in nearby Queen Victoria Street. Bus No's 15,17 and 521 stop in Cannon Street. Bus No 344 stops in Upper Thames Street. Agency Description: Eden Private Staff is a London-based nanny recruitment agency and is one of the leading providers of private childcare in the UK and overseas. Eden Private Staff childcare recruitment team handpicks the best childcare staff on behalf of the families and employers they work for. Eden Private Staff nanny recruitment team provides job opportunities for Overseas live-in-Nanny in Paris and West London. Directions: Nearest tube: Hammersmith Station connected to Circle and Hammersmith City lines. Buses 220 and 295 will stop at Hammersmith Library bus-stop, walk to Cambridge Court next to MFG House is Eden Private Staff recruitment office. Recent Jobs: Live-in chef in Doha Qatar, Live In Nanny in Hammersmith, West London | Live Out Part Time Nanny in Sloane Square, SW London | Short term Nanny needed in Paris, France. Agency Description: Directory Group is a boutique talent resourcing recruitment agency located in Queensway, City of Westminster. Directory Group Recruitment agency recruits professional talents in the Fashion Sales, Retail industry with offices in West London and the Midlands. Directory Group Recruitment agency provides recruitment services in Retail, Fashion, Beauty and Hospitality sectors within Greater London. Employers using the Directory Group Recruitment agency; HARRYS of London, SEZANE, SnapFitness-24-7, bru Coffee and Gelato, GUCCI and EE Mobile Network Operator. Directory Group Recruitment office is located near Whiteleys in Queensway, West London. Directions: Nearest tube: Bayswater station and Royal Oak underground station¬connected to Circle, District and Hammersmith & City lines. buses 7, 23, 27, 36 and 70 will go to Queensway and Westbourne Grove walk to Redan Place next to Whiteleys shopping centre. the Directory Group Recruitment office is in Redan House next to Khan's Restaurants Express. Recent Jobs: Recent job posts; Deputy Managers for London Fashion Retail stores | Assistant Store Manager in London Fashion Boutique|Butler in London Luxury Fashion Boutique shops. Agency Description: Extraman Recruitment agency is one of UK's leading staff suppliers to the Industrial, Warehouse, Construction, Labour and Events markets in Greater London. Extraman Recruitment agency provides Warehouse jobs; picking/packing products, managing/allocating stock, working in areas such as despatch, goods in, replenishment and fulfilment centre and supplies staff with CSCS Certificate for Construction and General Labouring work in London and the home counties. both temporary and permanent placements. Agency's Ethics: "There is hardly an agency around that will not boast of how well it treats its temporary staff. They are, after all, the lifeblood of every agency. Behind the boasts, however, lies the undeniable fact that a substantial majority of agencies exploit their workers in order to maximise profits and reduce prices". Extraman Recruitment Team. Directions: Extraman Recruitment office is 5 mins. walk from Earl's Court tube station¬access to District and Piccadilly lines. Buses to Earl's Court: 74, 328, C1 and C3 (5 mins. walk to Hogarth Place Extraman Recruitment office). Agency Description: Aqute Recruitment agency provides wide range of IT technology specialists in London and across Europe. Aqute Recruitment has a record in supplying IT skilled professionals for Investment Banking, Retail Banks, insurance companies and IT Consultancy Services. Aqute Recruitment team offers contract and permanent IT skilled consultants to the Banking, Insurance, Pharmaceuticals and the Energy industry in London, Brussels, Valencia and in other European cities. Directions: Aqute Recruitment office is located in Gable House, situated 5 minutes' walk from Turnham Green underground Station with access to the District Line. Gable house building is opposite Chiswick Beauty Lounge shop. Buses; 27, 237, 267 and 391 wil stop at Chiswick Lane bus-stop in Chiswick High Rd. Recent Jobs: Recent jobs from the London Aqute Recruitment office; Business Analyst in Alicante, Spain. Service Desk Analyst, Valencia. Java Web Services Developer in Brussels and MS Project Server Technical Analyst, Valencia. Agency Description: Middleton Jeffers Sales Recruitment agency has provided secretarial and administrative temporary jobs in London, now the agency has branched towards the CGI side, as the team provides temporary recruitment for Graphic Designers, CAD and CGI Artists, freelance Photographers, Social Media and Digital Marketing professional talents. Jobs that are provided by Middleton Jeffers recruitment team; Web Developer, digital archivist, logistics assistant, Trade Sales Executive and Senior Sales Consultant in West London, Chelsea and Central London. Directions: Nearest tube: South Kensington Station with access to Circle, District and Piccadilly lines. Buses 70, 74, 430 and C1 will stop at South Kensington bus-stop in Cromwell place, 5 mins. walk to Thurloe Street Middleton Jeffers Recruitment office. Agency Description: Mosaic Recruitment agency provides employment solutions in the construction labour market. the Mosaic Recruitment team in London offer jobs for Painter, Carpenter, Plumber, Electrician Mate, General CSCS Labour, Groundworker, Foreman, Tipper Dumper, Welder, Steel Fixer and Digger Driver vacancies, all Mosaic jobs in the construction sector. Most of Mosaic construction jobs are located within Greater London with some jobs in Essex, Berkshire and Hampshire towns. The Mosaic Recruitment agency is a member of REC (UK Recruitment & Employment Confederation). Directions: Nearest tube: South Woodford London Underground Station¬connects to Central line. Buses 123, 179 and 679 will stop at High Road South Woodford bus-stop Buses W12, W13 and W14 will stop at High Road George Lane bus-stop in North Circular Rd. Recent Jobs: Recent jobs; Plasterer, Carpenter, Handyman, Demolition Labour, Bricklayers, Painter, Decorator, Electrician and 360 Machine Operative all these jobs located in London. Agency Description: Huntress Recruitment agency has rapidly become one of London’s most successful recruiters in Office Professionals recruitment solutions. Huntress Employment agency is highly experienced in helping professional job hunters in finding the right job in London and across the UK. Huntress Clients/Employers are The North View Group for Accountants and finance jobs. Hermes for logistics and driving jobs. Airfrance KML for Travel jobs. AreenDesign for design and GL Assessment for Education jobs. Receptionist, Secretarial, Personal/Executive Assistant, Office Managers, Administrator HR, Facilities Administrator, Marketing Admins ,Project Admins, Customer Service Advisors, Call Centre Advisors, Call Centre Managers. many of those jobs are located in West London and Central London. Directions: Nearest Tube Station: Charing Cross, Covent Gardens; Central and Piccadilly lines. Holborn and Temple; Circle and District lines. (approx. 15 mins. walk to Huntress Recruitment office in Aldwych House. Buses stopping at Alwych Royal Courts of Justice bus-stop: 1, 59, 68, 91, 168, 171, 188, 243 and 521. the Huntress Recruitment Office is located next too the bus-stop ( opposite the Australian High Commission-Melbourne House). Recent Jobs: Finance Officers in Hammersmith and Fulham London Borough, South West London | Customer Support Assistant in Egham, Runnymede borough of Surrey | German speaking Customer Service Advisor in Crawley borough in West Sussex | Junior Receptionist-£23k-ASAP-Central London | Senior Credit Controller in City of London. all jobs posted from 2018. 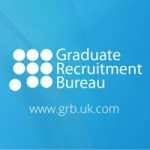 Agency Description: Graduate Recruitment Bureau (GRB) is an independent, graduate recruitment consultancy. The agency was established by two Business graduates in 1996, GRB's recruiters have helped place over 600,000 students and graduates start their career. GRB agency recruits in all industries in London and across the UK. the Agency discovers graduate jobs, graduate schemes, experienced roles, internships and student jobs every day for all graduated students. the Graduate Recruitment Bureau has Successfully helped thousands of University students and graduates start their careers in London. GRB agency can give you direct access to unadvertised jobs from the "hidden market". Graduate Recruitment Bureau agency office is located in Brighton and many of the jobs are located in London. Graduate Recruitment Bureau recruiters post many jobs in their twitter. Directions: Clifton Hill is 15 mins walk from Brighton station. Buses going to Clifton Hill; 55, 56, 57, 59A and 73. Recent Jobs: Graduate Pharmaceutical Industry in Central London | Graduate Trainee Insurance Headhunter, London | Graduate Analyst Central London | German Speaking Graduate Digital Analysts in London | all jobs posted in 2018. Agency Description: The Morgan McKinley Group is a very active recruitment agency established in 1988. It connects specialist professional talents with leading employers across multiple industries and disciplines. The Morgan McKinley Recruitment Group employs more than 800 colleagues in the United Kingdom. the agency operates a very busy office in London, the City of Westminster, Aldwych WC2, near the London School of Economics and Political Science. most of the jobs provided by the London Morgan Recruitment office are located in the City of London. Sales Managers in London, Marketing and Communications Managers, PR Executives. IT Data & Applications; Graphic Designers, Mobile Developers. Senior Finance; Audit Seniors, Accounts Assistants, Outsourcing Assistant Managers/Seniors, Credit Controllers - Law Firm and other jobs in the Media Relations and Financial Services (and Engineering jobs in Ireland)..
Morgan McKinley Recruitment agency jobs are located in Central London, City of London and East London boroughs. Directions: Nearest Tube Station: Charing Cross, Covent Gardens; Central and Piccadilly lines. Holborn and Temple; Circle and District lines. (approx. 10 mins. walk to Morgan Recruitment office. Buses stopping at Alwych Royal Courts of Justice bus-stop: 1, 59, 68, 91, 168, 171, 188, 243 and 521. the Morgan Recruitment agency is located next too King's College London.